These delicate morsels pack a tasty and beautiful punch. 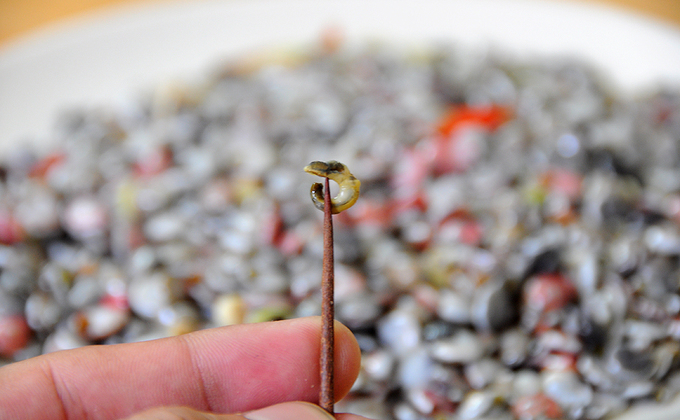 Snails might be considered a bizarre snack in some countries, but in central Vietnam, these tiny, colorful seashells are parts of the local cuisine. 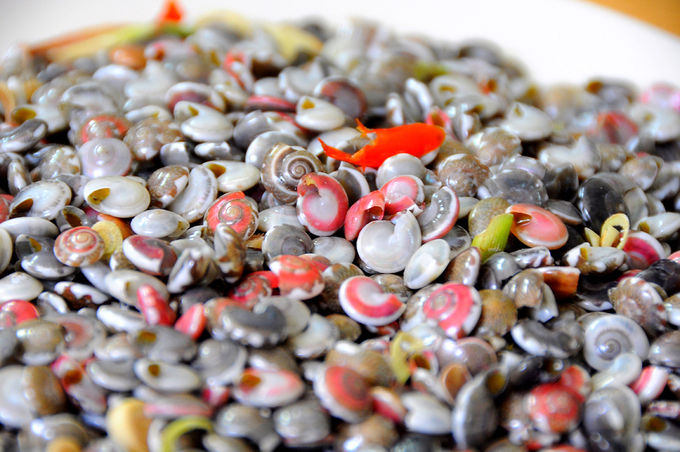 These little snails, or oc ruoc in Vietnamese, are farmed at the end of spring and in early summer. They wash up on the beach naturally, but to catch large quantities, fishermen need to go further out to sea and scrape them from the seabed using nets. 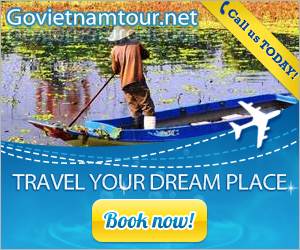 Oc ruoc are popular in coastal provinces such as Quang Nam, Binh Dinh and Phu Yen, from where they are delivered to markets in Ho Chi Minh City. 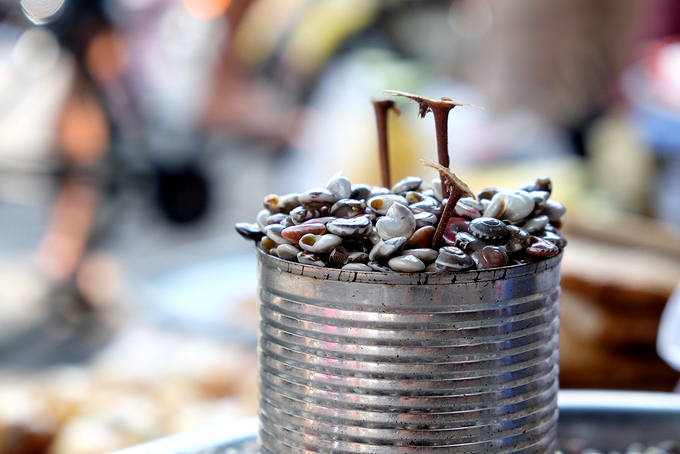 The snails are then boiled with lemongrass, chili and salt. The colorful shells retain their beauty after being boiled, with all the intricate texture. Getting the snails out of their shells is no easy task for beginners. Experienced eaters know that a special tool is required for this delicate work. “It’s best to use a pomelo thorn to pluck the snails out. The thorns give the snails a good smell,” said one vendor. Oc ruoc taste like the ocean, with their salty, chewy texture. 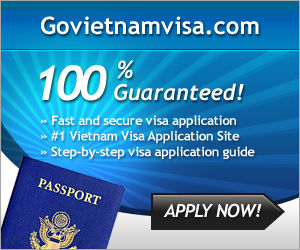 However, like many other Vietnamese dishes, they are not complete without a good dip, usually a mixture of fish sauce, chili, lemongrass and garlic. The unique taste can be easily ruined with sand if the chef doesn’t soak them in water for long enough before boiling. For most people, a cold beer is the finishing element.